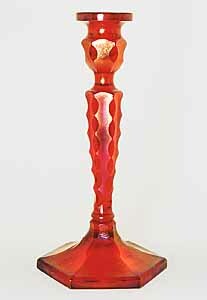 This pattern is found on Florentine candlesticks in which portions of the juncture of the vertical sides have been cut out forming ovals. 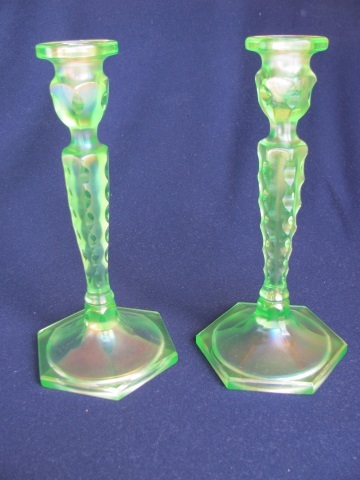 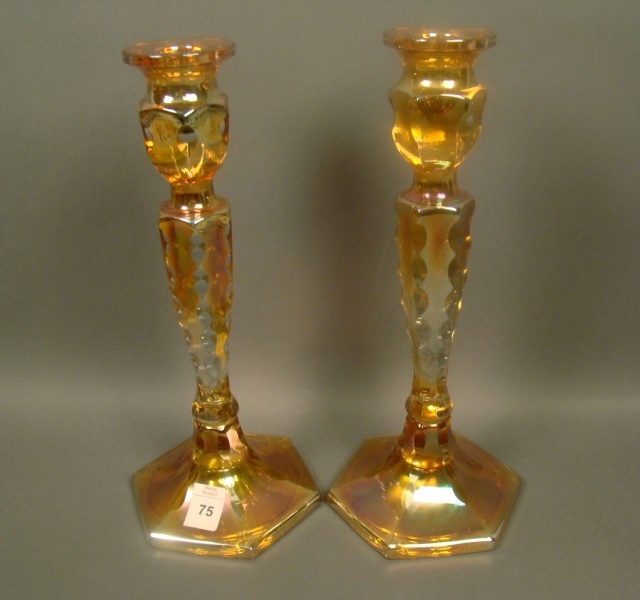 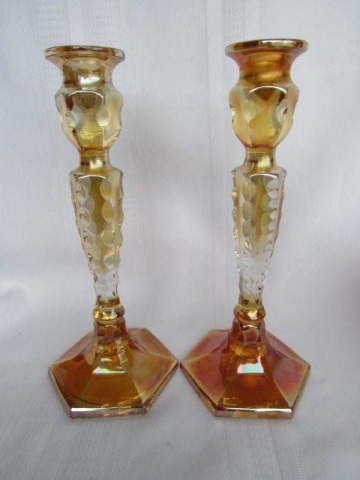 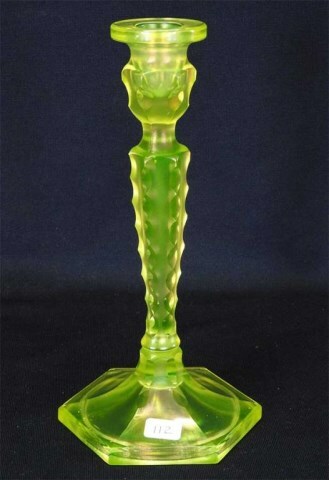 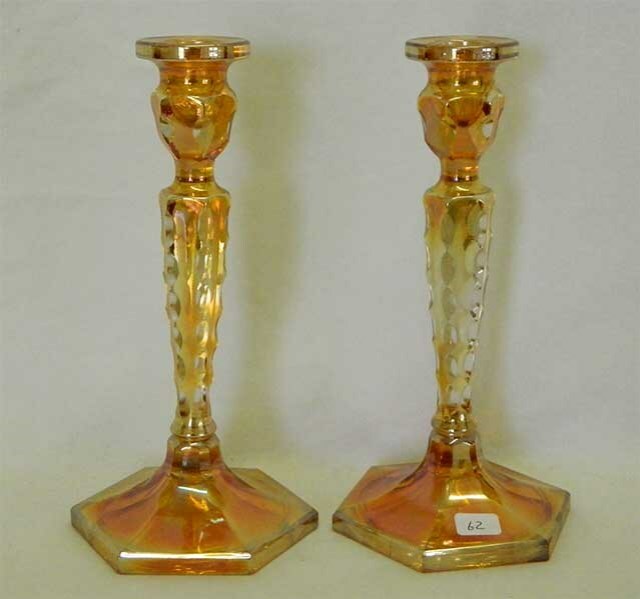 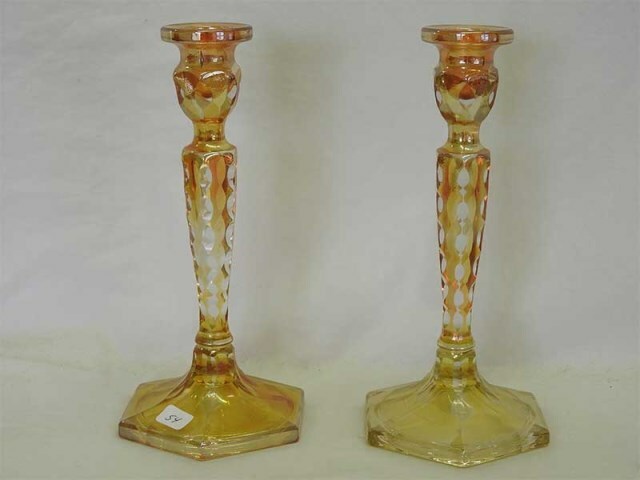 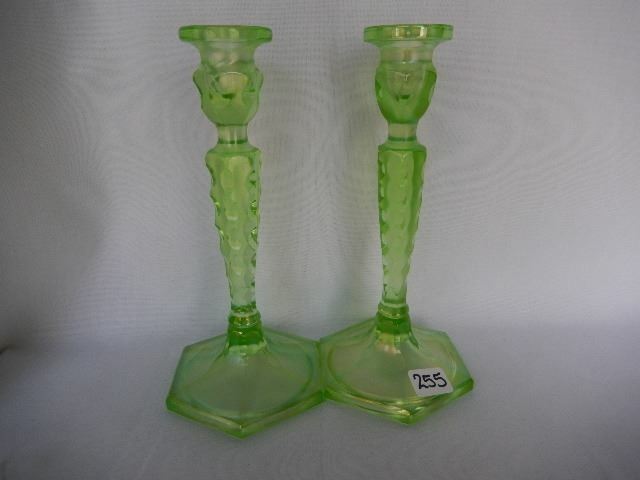 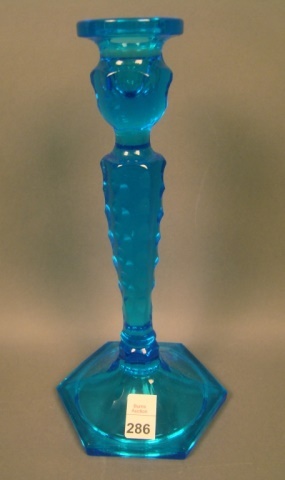 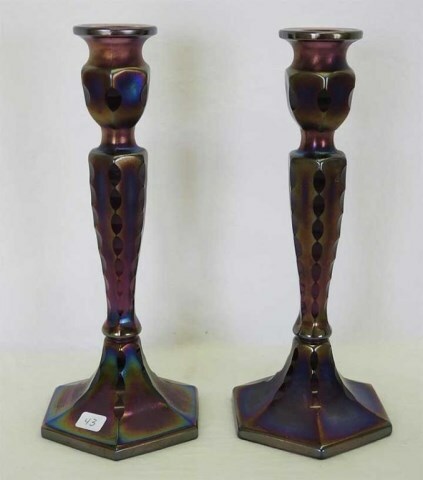 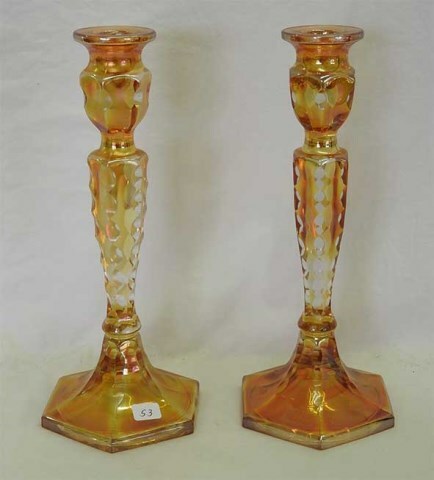 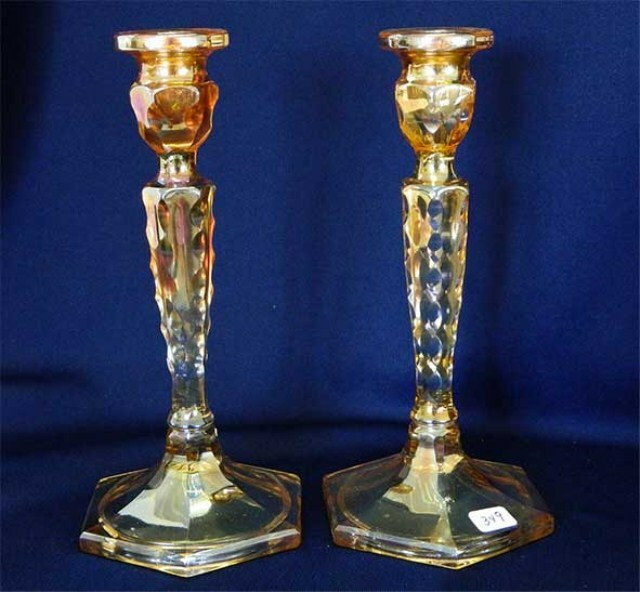 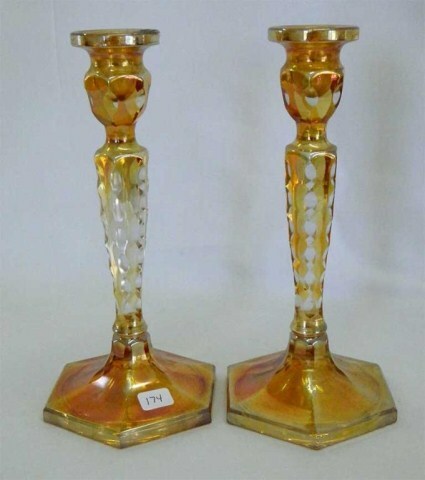 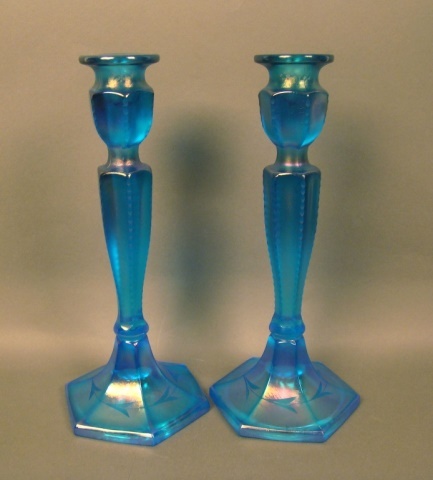 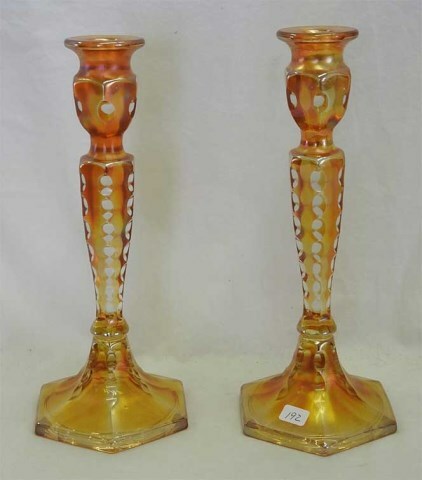 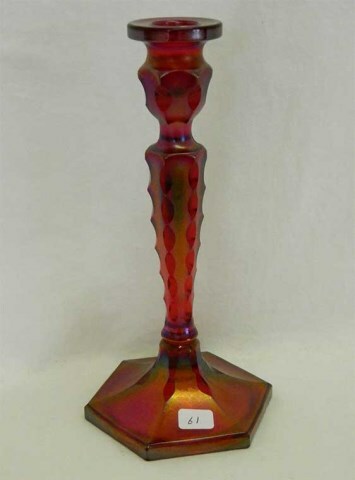 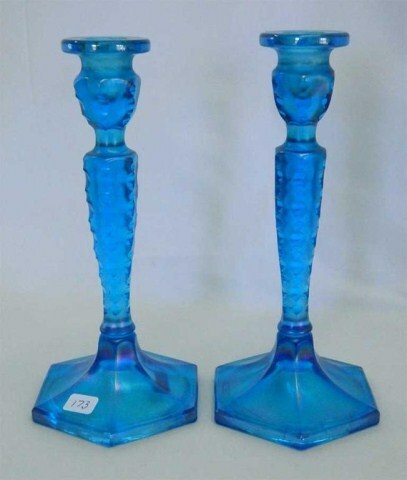 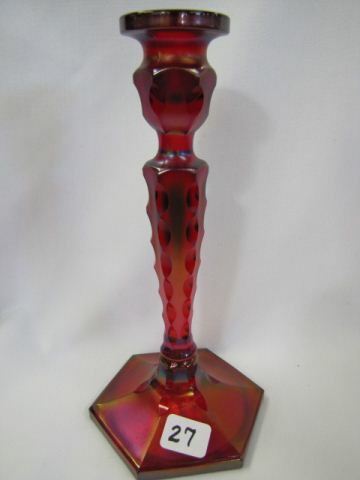 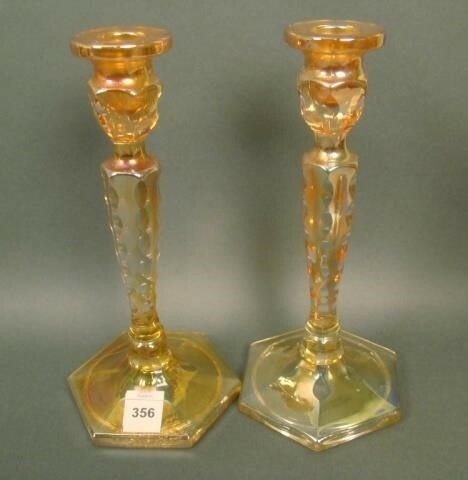 Because of the satin iridescence, some collectors consider these to be stretch glass. 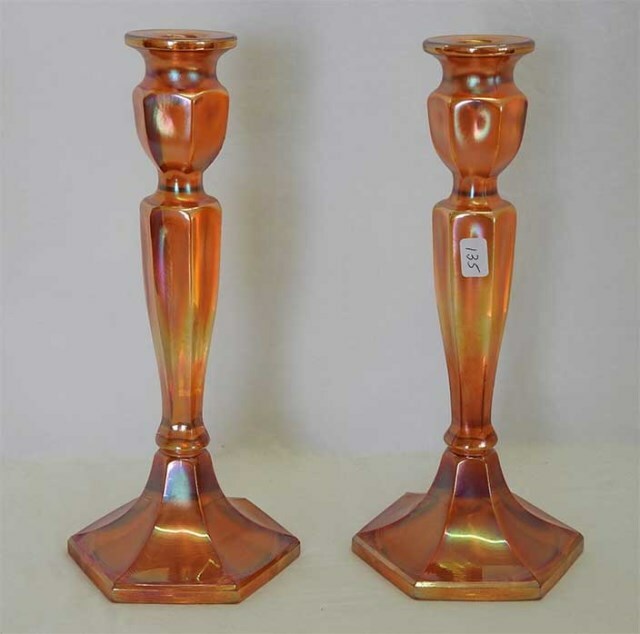 Heights can be 8 to 12 inches but because of the rarity, make little difference in value. 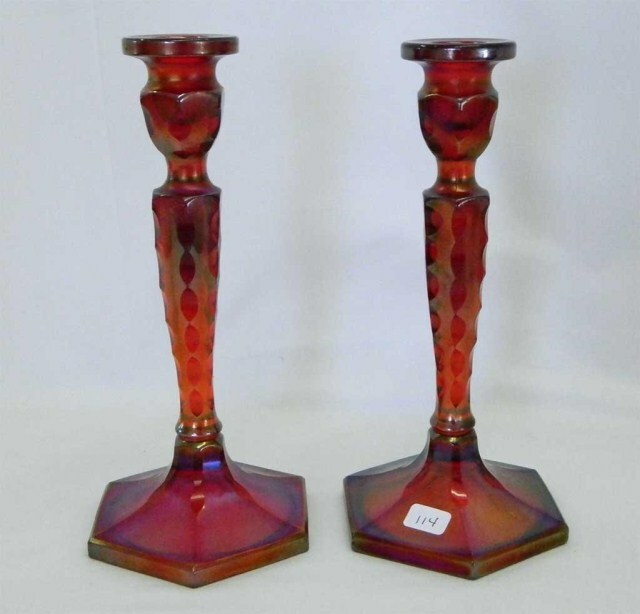 The red example at the left sold for $800 in 2000.